The Guestbook allows approved guests to leave short congratulatory messages for the couple on your app or your wedding website. Guests can also include photos with their written message. 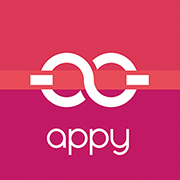 Log into your Appy Couple Dashboard and click "Edit Sections"
NOTE: If you accidentally delete a post we will not be able to restore it. Deleting a guest from your guest list will also result in the post being deleted. How can guests leave messages?